If you’re looking to boost customer satisfaction, one of the most promising places to start is customer service. Unfortunately, it’s also a place where long-term goals tend to buckle under short-term financial pressures. Companies try to meet Wall Street’s immediate demands by cutting costs through automation and outsourcing—despite a growing body of research conclusively showing that customers are fed up with lousy service and that increased satisfaction has a positive impact on consumer spending, cash flow, and business performance. In a groundbreaking 2006 study, University of Michigan business professor Claes Fornell and colleagues showed the relationship between customer satisfaction and financial success by creating a hedge portfolio in which stocks are bought long and sold short in response to changes in the American Customer Satisfaction Index (ACSI). Developed by the University of Michigan’s National Quality Research Center, the ACSI is an indicator of economic success that reflects levels of customer satisfaction with goods and services purchased from about 200 companies in more than 40 industries; it’s based on interviews with more than 65,000 U.S. consumers each year. Collectively, as the exhibit “Why Service Matters” demonstrates, the companies with high customer-satisfaction scores have blown the S&P 500 out of the water, especially over the last few years. Not only have they produced higher stock returns, but their stock values and cash flows have been less volatile. How are these results possible, given efficient-market theory, which says you can’t consistently outperform the market? It’s because today’s stock valuation methods fail to incorporate the kind of information that forms the basis for making stock trades in the ACSI portfolio. If they did, the ACSI portfolio would closely track the S&P 500. 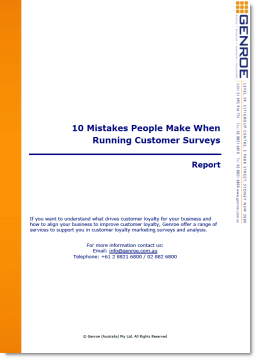 Download the full case study here: Beating the Market with Customer Satisfaction.